My friend Brenda, constantly complains about her neighbor Diane. Diane seems to have it all together. According to Brenda, Diane is young, attractive and has three kids. Despite having three children, Diane still looks like she has the same body she did as a teenager. She also has a handsome husband and a mom living nearby for an instant, free, babysitting services. To make bad matters worse, Diane’s always jetting off on yet another exotic vacation and constantly posting her latest escapades on Facebook and Instagram for all the world to admire and envy. However, Brenda admits that Diane is a sweet, innocent soul, who doesn’t intentionally make her feel bad. Yet, she can’t stand that Diane’s perfect life is always being thrust in her face somehow or the other. Brenda hates to admit that she feels a tinge of envy towards her perfect neighbor. We all know a “Diane” or a “Dan”, don’t we? That person who always appears to have it all and excel at everything. Their life seems effortlessly perfect and pristine and you just want to slap the crap out of them? Brenda keeps wondering, “How am I supposed to compete with Diane?” It is a difficult question to answer because how do you compete with perfection? Or…what seems to be perfection? Although they may sound clichéd, there is truth to these sayings. It’s always easy to assume other moms have things easier than you do. That they don’t have challenges like you do. That their kids are better behaved than yours, better groomed than yours, more polite than yours, more patient than yours. Or that their homes are always organized, clean and tidy, unlike the constant chaos that reigns supreme in your house. Believing that the struggle is more real for you than it is for others can easily make you miserable, bitter, resentful and petty. Whenever you feel this way, remember this… Mothers who seem to have it all together all the time are usually like a beautiful swan who glides gracefully on the water. Like swans they look graceful on the surface, but they are paddling like crazy just beneath the surface to stay afloat. So, don’t be depressed by the mess that is your life. All the hoops you have to jump through, all the hurdles you have to jump over, are what make you unique and make your life interesting. Without the hoops and hurdles, life would be a lot more boring and you would be a lot less interesting. The mistakes you’ve made along the way have shaped you into who you are today. The mistakes you made yesterday, are the lessons you can learn from today and can teach to someone tomorrow. So, don’t see your setbacks as obstacles. Realize that your setbacks are simply setups for bigger and better opportunities. Be gracious with yourself and grateful for your experiences. Your mistakes caused you to learn and grow into the amazing person and momma that you are. I believe that despite how depressing and messy you think your mommy life is, any mom can learn how to overcome obstacles and get goal crushing confidence if you change your mindset. Try these two powerful mindset shifts are designed to help you begin believing in yourself and your capabilities. With a positive mindset, eventually, what you once saw as obstacles and setbacks, will be seen as opportunities and setups for bigger and better things to come. Having kids means that life is unpredictable. Despite how much you plan and prepare for things to be perfect, life happens, mistakes may be made and things may still go wrong. If you stop trying to be perfect and forget about dotting every I and crossing every T, then you will be better mentally prepared to handle the unexpected that you didn’t plan for. With kids, it’s always wise to expect the unexpected as inevitable. If you believe that it’s ok and even normal, for things to go wrong, you won’t see the unexpected meltdowns while shopping and tantrums in church, or at the cinema, as obstacles. You’ll see them as opportunities for you to appreciate and accept that children are unpredictable. You’ll also learn why the behavior occurred. With this appreciation, acceptance, and knowledge, you can do things differently next time to make sure your child’s unwanted behavior doesn’t recur in public. It’s better to remember Murphy ’s Law that says, “Anything that can go wrong, will go wrong.” This is a reminder that you should not blame yourself when things go wrong. Things going crazy is very normal for families, especially those with young children. So stop being so hard on yourself and stop expecting everything to go right all the time. How boring would life be if it did? My teacher also used to say, “Nothing good, or that is worth having, ever comes easy.” And “The harder the battle, the sweeter the victory.” Remember these old says the next time you see the “Diane” or the “Dan” in your life. Smile to yourself confidently knowing that the things that you are most proud of in your life are the ones that gave you the most grief to get, to keep, or to care for. So, even if you don’t know exactly what WILL go wrong you can be confident, knowing that the unexpected is normal. You also know that you will conquer by overcoming your obstacles and turning them into opportunities. When I was a little girl, I used to hate and be afraid of thunderstorms. Despite how much I hated thunderstorms, I loved seeing the beautiful rainbow afterward. I imagined it was a magnificent, colorful crown in the sky, that belonged to a beautiful Queen in the clouds. My Dad knew how much I loved rainbows and would remind me as I looked up in awe, that without the thunder and rain, there would be no rainbow for me to see. As an adult, I understand that sometimes, the most beautiful things are created from the most horrid experiences. You should always remember the rainbow after the rain. Realize that when things are going wrong, and you encounter obstacles, look for the lesson you can learn, the opportunities to be obtained, or the blessings in disguise. I know that’s easier said than done, especially as you are going through the thunderstorm of life. But believe me, no storm lasts forever, and there is always sunshine after the rain. This positive mindset will set you up for success and help you overcome the struggles of motherhood. In life, unexpected, unpleasant and unwanted experiences will occur. However, with a more positive mindset and the determination and desire to make a change, you will be in a much better position to deal/cope with the unexpected when it does happen. You don’t need to pretend all is well when it clearly is not. Nor do you need to bury your head in the sand with a “Maybe if I ignore it, it will go away” mentality. This attitude will only lead to self-destruction and will potentially make bad matters worse. Be brave enough to accept responsibility for your actions and admit your mistakes. Figure out what you could have done differently and face the obstacle in your way. This is how you will experience self- growth, and development, thereby avoiding similar mistakes and miserable moments in the future. Determine either how to get through, get over, or get around it and learn from your mistakes. This may mean getting feedback or constructive criticism from someone else who you can trust and has your best interest at heart like a close friend, a family member or a therapist. Remembering the rainbow after the rain requires you to get in the habit of reflecting and analyzing the situation when bad things happen or obstacles are in your way. It is also believing that the setback is simply a situation that’s setting you up to learn, grow, progress and eventually succeed at this thing called motherhood and life. Be kind, gracious and patient with yourself and your kids. We can’t avoid life’s thunderstorms. But we can be hopeful in the midst of those storms, knowing that there will be beautiful blessings and rainbows after the storm. Despite how perfect the lives of others may appear, appearances aren’t always what they seem. We all have our own storms in life. Forget the “Dianes” and “Dans” of the world. Instead, focus on yourself and you will get through. If you can’t forget Diane/Dan, use them as inspirations, not as hesitations. As Murphy’s Law states, “Anything that can go wrong, will go wrong.” Life will be unpredictable like that. But even if you don’t know exactly what will go wrong, be confident because you know that the unexpected is normal. You also know that you are capable of overcoming your obstacles and turning them into opportunities. Just remember, mistakes are an opportunity for improvement. So stop being afraid of failure. The most successful people have failed countless times before they became successful. Being successful means messing up, learning from your mistakes and move on. Success takes time, but you’ve got this and are doing much better than you think! So stop beating yourself up when things go wrong. Stop worrying that you are doing it wrong. Believe that you are strong! Do you feel overwhelmed by life’s obstacles? How do you overcome your obstacles? Let me know in the comments below. 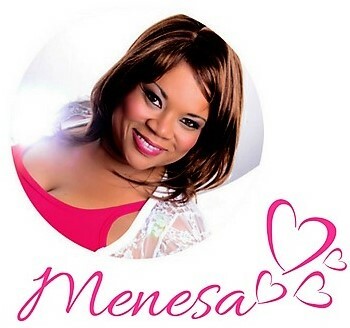 She is a mom of three, and blogger at Clever Glamour Momma Ménesa started blogging because she wanted to help moms have style, fashion & beauty confidence. Follow along on her style, fashion & beauty adventures. Enjoy the ride! Don’t forget to download your FREE Printable, 4 Simple Steps to Closet Minimalism That Will Make Your Life Easier.